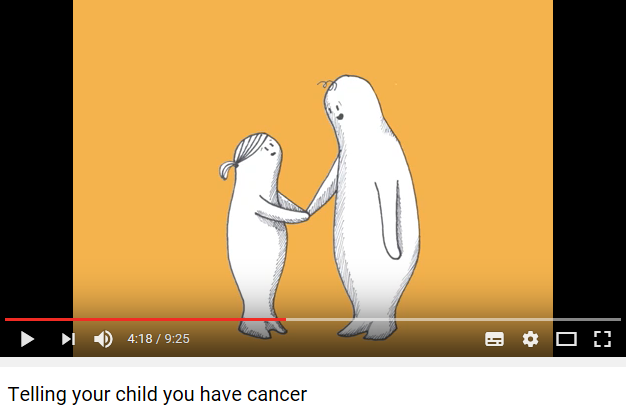 A short film to support parents when they decide to tell their children about their cancer diagnosis. It provides guidance about how and when to tell them, and looks at different age groups and how they may feel and behave when they have been told. The film was produced with the Fruit Fly Collective and published by London Cancer, part of the UCLH Cancer Collaborative on their youtube channel.